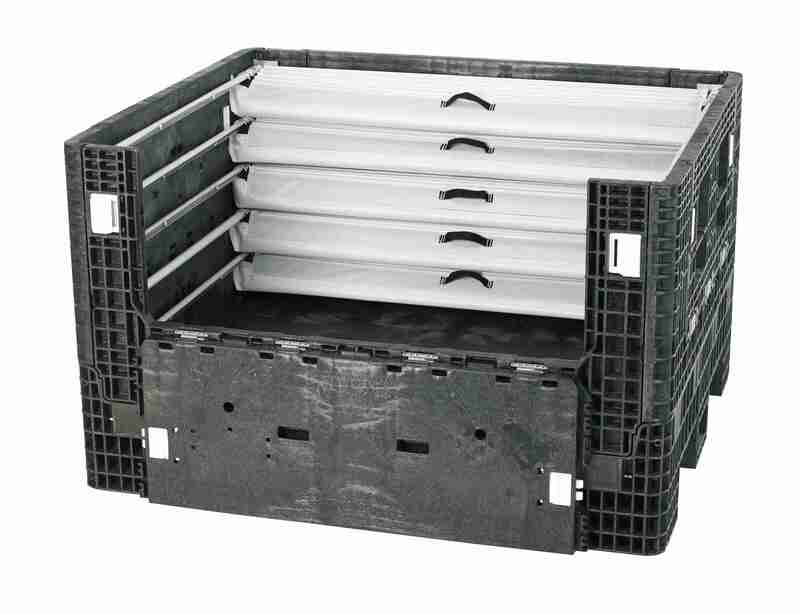 OCONOMOWOC, Wis. — April 8, 2019 — ORBIS® Corporation, an international leader in reusable packaging, is launching a new bulk packaging dunnage solution that offers improved pack density, better part protection and hassle-free part presentation throughout the automotive supply chain at ProMat 2019, Booth S-1222. 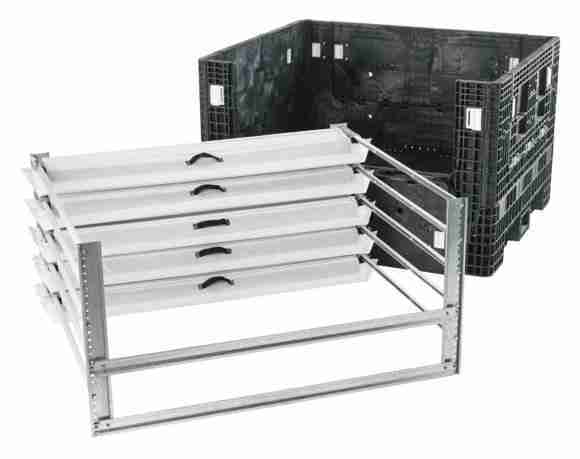 The AdjustaPak™ is a removable, adjustable sliding dunnage system that accommodates large, bulkier automotive parts when full and can be returned for part replenishment or reconfiguration when empty. The system is composed of a frame, multiple rails, and hanging fabric bags. The frame fits within a standard ORBIS BulkPak® container and is configured with the rails and fabric bags designed for rugged use. The rails include multiple assembly holes that allow height adjustment and fabric bag reconfiguration, as needed. The frames also are removable and can easily be transferred from one standard BulkPak to another. “The new AdjustaPak is not bolted to the packaging, so if the host container changes at any point along the supply chain, the sliding dunnage system can easily be moved to a different container, reducing replacement needs and costs,” Momsen said. In addition to the modular design, the fabric bags have a vertical orientation so there are no layers to remove at the assembly line, and the unique easy slide technology prevents rust buildup to ensure sliding performance doesn’t degrade over time. Fabric bags can be purchased for additional layers, and the AdjustaPak is available in a variety of sizes, ranging from 48” x 45” to 78’” x 48”. AdjustaPak is the latest custom packaging innovation from ORBIS. In addition to manufacturing a variety of standard packaging products, ORBIS designs, develops and fabricates a wide range of custom products including totes, protective dunnage, bulk packaging and metal racks. For more information, visit ORBIS at ProMat Booth S-1222 or visit orbiscorporation.com.